ðŸ��Be THAT guy/girl and ask for "Dark Roasted Coffee Beans". Bonus point: wear a beanie and order whilst casually reading a Penguin Classic at the same time for added 'hipster effect'. ðŸ”¥Mindmap everything you learn this week. To boost your retention and memory, intentionally create meaningful connections between incoming ideas and what you already know. Your brain does the connection bit alreadyâ€”itâ€™s just less strategic. Make it work harder. âš¡ï¸�Follow my cats on Instagram? Oh wait, no that wasn't the point. Stop buying Pythons. Buy rabbits. Or something cute - stop scaring off your sexual partners. Unless that's what you want, in which case this care guide for looking after pet tarantulas might come in handy. Say hello to your first official dispatch. This one goes out to you, our early adopters. We like your style: neuroscience, nutrition, psychology, and mind-altering emails before 9am. Clearly you have excellent taste. But youâ€™re not here for compliments. Youâ€™re here for the breakfast of champions: Brain food. Letâ€™s get down to business so you can toss back your coffee and tackle those weekly goals. Got your thinking cap on? Great. News on nutrition (newstrition?) doesn't often get better than this. The latest research on coffee suggests that (wait for it) it's actually good for you. That is, of course, until a scholar comes out tomorrow and declares it's not again. Letâ€™s not go there yet. One day at a time. "Coffee consumption does seem to have some correlation to a decreased risk of developing Alzheimer's disease and Parkinson's disease." Sounds good to us, Don. Does that mean I should go mad for more caffeine? Actually, no. Who said anything about caffeine? Thatâ€™s not what scientists are getting excited about. It's the **phenylindanes** don't you know. Ah yes, phenylindanes, we were just talking to our friends casually about them the other day too. In a nutshell, these are what makes coffee taste bitter. Yes, bitter is actually sweeter for your brain. 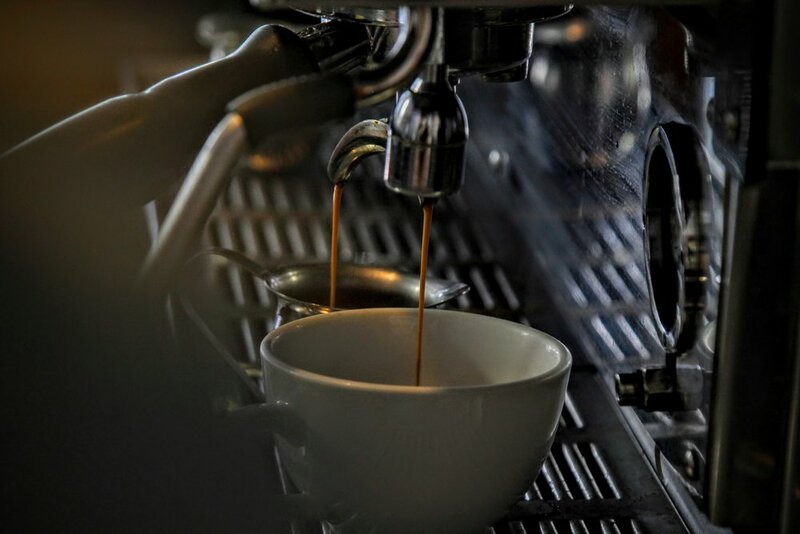 "It is the phenylindanes, rather than any other coffee-related compounds, that seem to inhibit the amalgamation of tau and beta-amyloid. These are toxic proteins, of which the excessive buildup in the brain is a key factor in neurodegenerative conditions such as Alzheimer's and Parkinson's disease." So what do I need to look for? It boils down to the bean, folks. Whether you're a caffeinated or decaf fan, what matters is the roasting process. Dark roast coffee beans. Bonus - when you ask your local barista, you'll finally feel like one of those coffee snobs you've always secretly detested but also slightly admired (especially if you read this). Bottoms up people. For the nerdy ðŸ¤“: Original Source Article Here: Medical News Today. Pinning down how humans think is challenging for even the brightest minds. Itâ€™s a favourite question among neuroscientists because where there's no 'answer' there's also no criticism. Well, a few people are putting themselves in the line of fire. A team of scientists from Germany and Norway offer a new proposal in the current issue of the journal Science. Their conclusion? Humans think using their brainâ€™s navigation system. Sort of. We know a particular circuit fires when a person navigates and maps a new physical environment. The study suggests that this circuit is also responsible for thinking. At last! Sherlockâ€™s mind palace makes sense. When encountering something new, we make connections using existing data in our cognitive space. Let's say you've already experienced tigers, lions, and panthers. They tiptoed into your cognitive space ages ago and curled up somewhere on your mind map. But suddenly you encounter a leopard for the first time. Your brain will associate this new feline friend (or foe?) with its existing lookalikes and pin â€œleopardâ€� with the other big cats on your mind map. Youâ€™ll respond accordingly. Invest in a better nav system by becoming a mind cartographer. When learning something new, intentionally map it as you go. Give it a specific home by associating it with things you already know. A place for everything and everything in its place, right? That's how our brains seem to work by default. Use it to your advantage. For the nerdy ðŸ¤“: Original research from the Max Plank Institute here. Hereâ€™s something for animal lovers: You might not have "a type" after all. Your pet might determine the kind of partner you seek. The quest to pinpoint factors that influence sexual attraction is not a new one for psychologists. One variable that alters appeal: a sense of threat. A team at Oakland University in Michigan decided to run a typical â€˜threat vs safetyâ€™ test but instead of using images of hellish apocalypses and cheerful utopias, they opted for something more...threatening. 3-foot pythons versus fluffy bunnies. Yes, someone stole your research proposal. Women who'd seen snakes preferred the muscly, more dangerous looking men. Those whoâ€™d had seen rabbits preferred the safer, more 'cute' looking men. Ok, that's weird. Anything else? Yup. These psychologists also found that men felt less dominant when confronted with a snake rather than a rabbit. Meanwhile, the snake made women feel less attractive than the rabbit did. I'm not sure how this influences my week. Isn't it clear? Stop going out to buy that 3-foot python you were about to purchase immediately. Fluffy bunny rabbits all round, people. But, seriously, if you do have 'dangerous pets' then maybe think about how it correlates with the relationships youâ€™re in and how people experience being in your presence. Just a thought. For the nerdy ðŸ¤“: Original source article from Psychology Today. OK, so I'm a little biased by picking this story this week, but my cats are according to Google, the 'Fluffiest cats in Britain" so, you know. I'm in the bunny rabbit camp. ðŸŽ§ Dr Rangan Chatterjee & Miguel Toribio Mateas talk about the link between the brain & gut. ðŸ“½This map of the brain will blow your mind. ðŸ“– GRIT by Angela Duckworth. We just finished it, & think everyone else should too.